Are you coffee lovers? If yes, then you should get a coffee maker for your needs. Why coffee maker? Because in this modern era a denial with technology is unacceptable, you can get so many luxury benefits after buying coffee makers, you barely need effort in making coffee, and you won’t need too much resource. 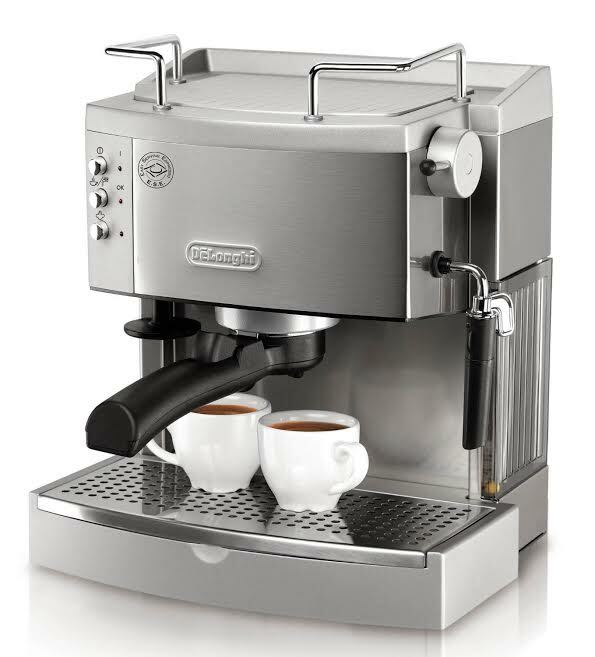 Here is one of the product which has been well known out there, Delonghi EC702. This product offers so many special features which differ the product entirely from other product. Delonghi is pretty much an automatic product which can produce a delicious and tasty coffee. You can choose many different flavors without little efforts needed. The utility of this product itself is pretty right on point. So if you are interested in this product, let’s see the explanation below. Delonghi EC702 has many features around its body. Its size itself is pretty big which is why you need to empty your room a little bit. The first feature is the pump and the bars, the number of the bars are fifteen. This pump and 15 bars are intended for its mechanical usage. After that, you can use the filter holder for some expected thing like the pods or the ground coffee. Delonghi EC702 can craft simple coffee and even the luxury ones like the cappuccinos or the lattes with the patented frothier which is also easy to be used. And most importantly, Delonghi EC702’s water tank is pretty big and can fill up to 44oz and 1.3-liter water. You can add and remove water freely as you like with the removable water tank which is also made for the comfort usage of the customers. The coffeemaker usually comes with some specific problem like its programs or its mechanic. Unlike other products, Delonghi EC702 delivers the best in this aspect as its mechanical is supported by its big features which minimizing the failure when using it. You also can count on its program as the program has been well made and used by many customers without any bugging problems. The other benefits are that Delonghi EC702 is the water tank which is accessible from the side of the machine, so we don’t need to access the top of the engine. And unlike what we expect, the size is not pretty terrible as the water tank can be accessed by the side of the machine. The design itself is pretty neat and good looking. It is made of the stainless steel which can endure many aspects like the temperature and water. Other than that, the machine is pretty easy to be cleaned, and you can reuse it in no time. In overall, Delonghi EC702 is pretty common coffeemakers, but some benefits can be found when using this product as the water tank is pretty accessible and it can handle such like cappuccinos and latte. So if you want a simple and straightforward coffeemaker, then you can buy the Delonghi EC702. Check the best price for Delonghi EC702 here! Duraflame Heater Review: Stay Warm in the Winter!